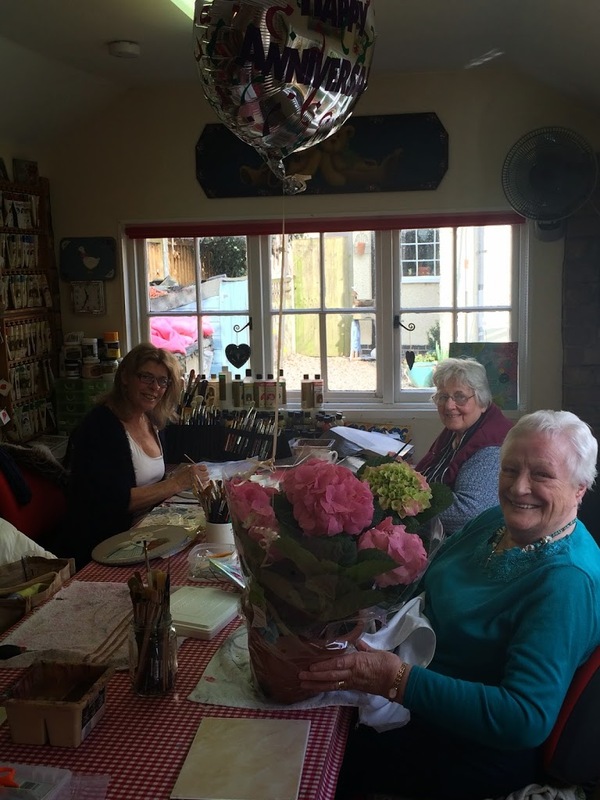 What a wonderful morning in the Paint Palette studio….today we celebrated Jean’s Diamond wedding anniversary (the official day is Thursday). 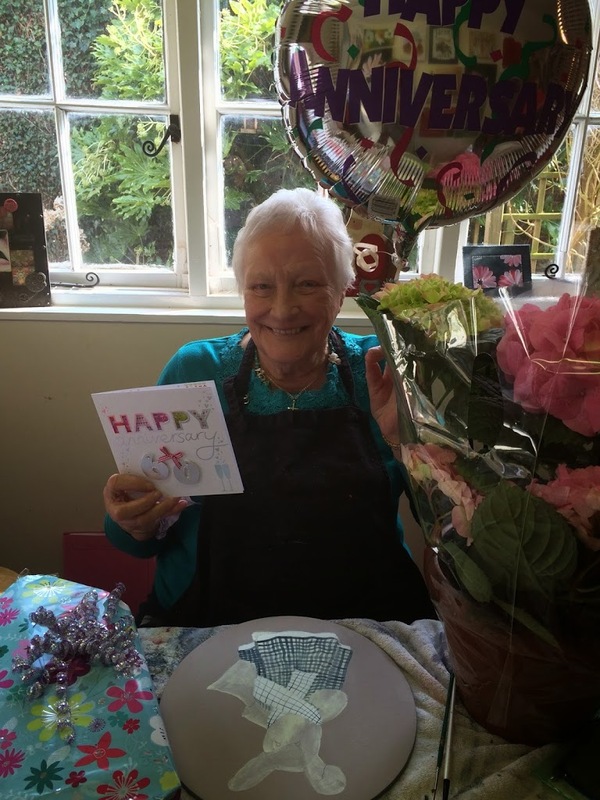 We surprised her with a gorgeous Hydrangea, card, chocolates and of course a helium balloon. 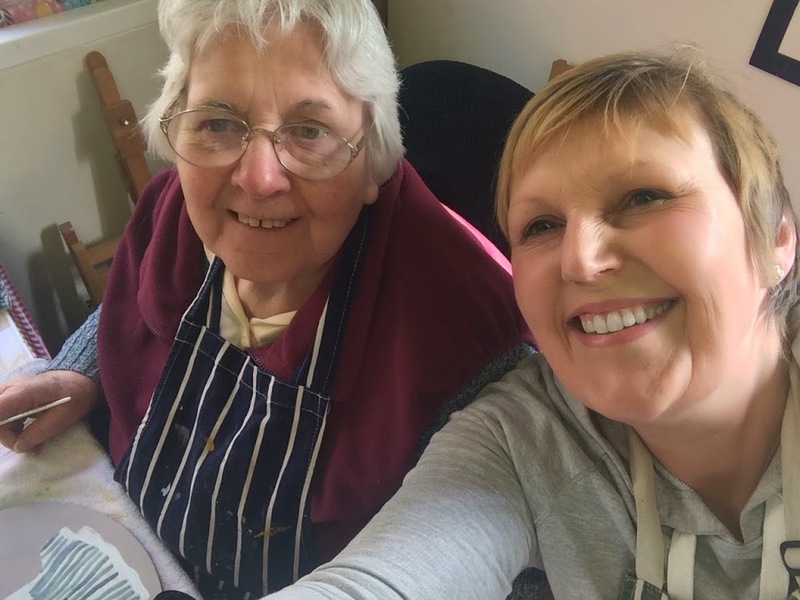 I took a photo of Laura and me…very quickly as she is camera shy! We had cake too and even got some painting done lol….their bunny dress and scarf.